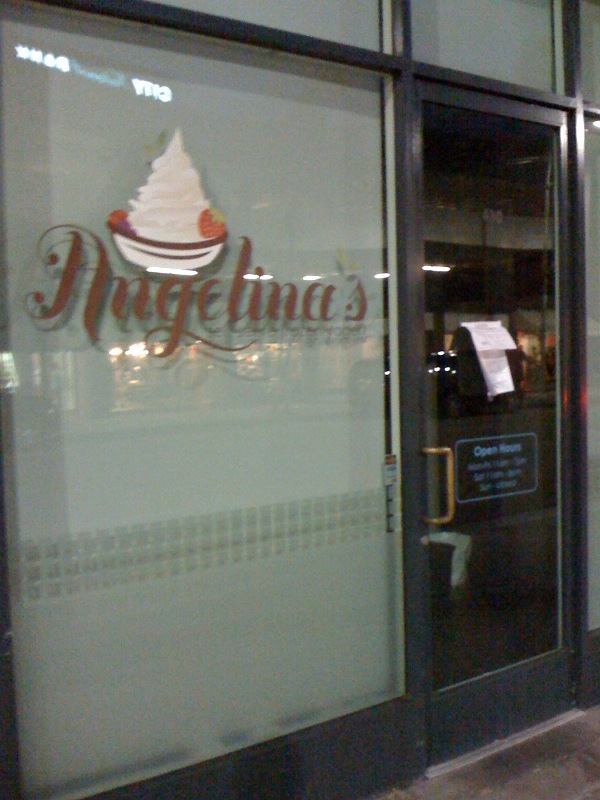 I noticed this bit of sad news in the form of a crumpled piece of paper taped to the door of Angelina’s Frozen Yogurt, a local favorite at 430 N. Bedford Dr. in Beverly Hills. 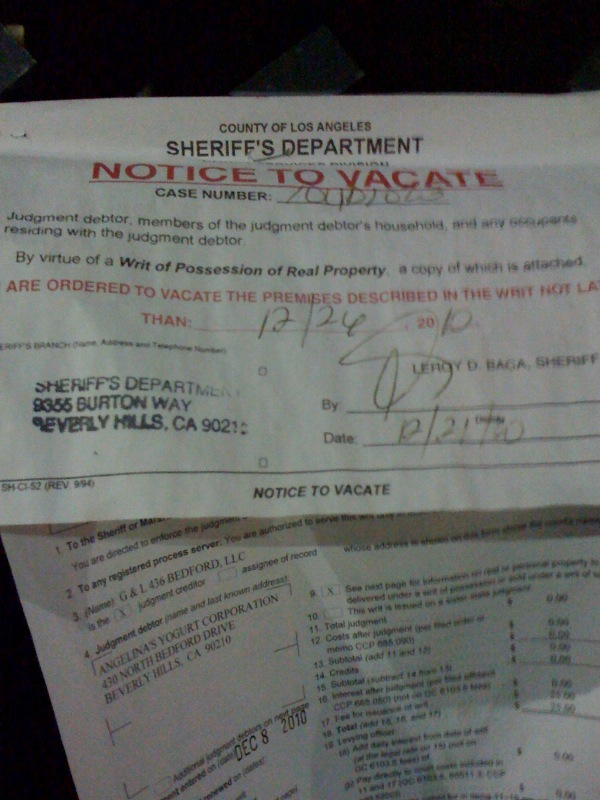 In an apparently heartless move, Santa by way of the sheriff’s department issued a “writ of possession of real property” (otherwise known as an eviction). The date of the eviction was 12/21 and Angelina’s had to be out by the day after Christmas! Needless to say, it probably wasn’t a joyful Christmas for the people behind Angelina’s.